Undergraduate research is an opportunity to perform in-depth study, gain transferable skills, develop critical thinking and problem-solving abilities, define academic and professional interests, and form relationships with mentors, professors, and other students. The Office for Undergraduate Research affirms the University’s commitment to provide “an inclusive and welcoming environment for all members of our community.” Students from all majors and backgrounds pursue research, scholarship and creative performance at Carolina. Students may begin as early as their first year, though we suggest a semester of transitioning to university life before making a commitment to research. Although some people mistakenly think that research opportunities are limited to the sciences or to Honors students, there are independent study and research opportunities available in all departments at Carolina, including the arts & humanities and social sciences. Some examples of student projects include: “Cocoons and Canaries”-a mural in Southern Village, “Uniting Human Rights and Public Art” in Oaxaca, Mexico, “Misconceptions about Women of the Middle East,” “Anatomy of Delay in the NC Court of Appeals,” “Fair Trade Clothing” in Argentina, “Russian Wetlands Policy,” “News Coverage and Education Policy,” commercial, social, scientific, and artistic entrepreneurship, community-based research. . . undergraduates from all schools in all majors have conducted research, scholarship and creative performance projects on nearly all continents. You can see more examples of student projects in the Summer Research Projects Database and the Annual Celebration of Undergraduate Research Abstracts where you can browse past projects by major or department. Search the OUR Database of Research Opportunities. Contact an Undergraduate Research Ambassador. Ambassadors can meet with you to help find a research opportunity, initiate contact with professors or research mentors, and answer most questions about undergraduate research at Carolina. Contact a Liaison for Undergraduate Research. Liaisons are graduate students, postdoctoral scholars and faculty in specific departments who are willing to meet with undergraduates regarding research opportunities, resume/CV preparation, and graduate school applications. Enroll in IDST 194: Modes of Inquiry. This is a one-credit pass/fail course offered each semester. The course, hosted by the Office for Undergraduate Research, includes faculty research presentations in all disciplines and exposes students to numerous research areas and methodologies. Schedule appointments with your professors and/or TAs to discuss their research interests. If you are interested in their work, ask if there is any way to get involved in an upcoming project. Look at faculty biographies and faculty research profiles on departmental websites and make an appointment to speak with professors whose work interests you. If you are already active in a lab or research team, ask your supervisor if there are any opportunities for funding for an independent project. If your current research team does not provide funding, you can search the Internal Funding Database. The Office for Undergraduate Research also provides Summer Undergraduate Research Fellowships (SURFs) for students to complete summer research projects developed with a faculty mentor. Grants of $3,000 are awarded to over 60 students each year. Applications are competitive and due in February. There are many ways to receive course credit for both learning about research methods and doing research. Research conducted outside the classroom can be volunteer, paid, or for credit. This will be decided by the individual lab or research team, as requirements differ by department. The curriculum includes an Experiential Learning requirement, which can be met by receiving credit for one course which includes sustained and mentored research. Departmental course descriptions should be used to verify that any particular 295 or 395 course has been approved to meet the Experiential Learning requirement. Yes! Students are not limited to pursuing projects within their declared major, and are encouraged to pursue interdisciplinary projects that span any and all disciplines. Please note that occasionally students encounter difficulties if they need course credit within their major department for research that is conducted in other disciplines. Every department has a Director of Undergraduate Studies, who can either answer your questions or direct you to another person in your department for the assistance you need. In large departments, there is often a very knowledgeable student services assistant who can provide useful information. See the listing of the Directors in departments within the College of Arts and Sciences. For other undergraduate programs, consult the department website to find the appropriate contact. The Annual Celebration of Undergraduate Research Symposium (CUR) is hosted each April in the Frank Porter Graham Student Union. The event includes poster and platform presentations showcasing undergraduate research conducted by Carolina students. The event is free and open to the public. Abstracts must be submitted by mid-March. The OUR also collaborates with others to enable students from all North Carolina schools to present their work in the State of North Carolina Undergraduate Research and Creativity Symposium held in mid-November. 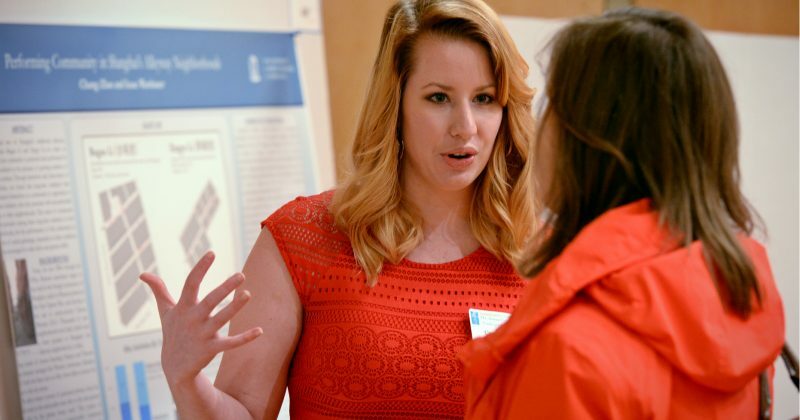 In odd years when the NC General Assembly is in session in April, students from all UNC system schools are invited to present their results in a poster session for their own legislators. This Research in the Capital symposium was initiated by the OUR. The OUR also offers Undergraduate Travel Awards to enable undergraduates to present their work at professional meetings. Additionally, there are many publishing opportunities at Carolina and beyond. Check out the peer-reviewed research journals accepting undergraduate research submissions. You can search by major or department. A research university is a complex and interdependent community of individuals who value the intellectual and practical benefits of original inquiry and creative expression. There are many responsibilities associated with belonging to this community. Faculty are both engaged in original research, scholarship and creative performance, and also responsible for continuing to define the boundaries between the known and the unknown, and teaching the methods that can be used to reach significant conclusions. Students also have many responsibilities as they abandon novice-like approaches to learning and embrace the more expert-like habits of mind that will be necessary to address the unsolved problems of the future. There are also many benefits of contributing to the University’s research mission, including the development of your creative abilities and confidence that you can undertake original work of significance to society. The programs and resources of the OUR can help to empower you to take the next step that you need in order to engage in undergraduate research. We hope that all students will use these resources in ways appropriate to their situations and feel welcomed into the communities of performance, scholarship and research that comprise the Carolina campus. We look forward to helping you to pursue topics of your greatest intellectual and creative interests, and to communicate the results through campus symposia, publications, and professional meetings. The Office for Undergraduate Research is located in 220 Graham Memorial Hall. Please stop by the office or contact us with any questions or comments! Your next steps will involve finding out what is going on at Carolina in your area(s) of interest, and figuring out how you can get started. All programs sponsored by the OUR require you to have a faculty advisor. This person will guide your work, help you to shape proposals for funding, introduce you to opportunities such as professional conferences and publication outlets for your work, and serve as your mentor. This person also has the responsibility to ensure that you comply with University regulations involving safety issues (for all laboratory work) and ethical conduct, particularly when human subjects are involved in your work. Your faculty advisor is the most important connection between you and the University’s research community, so it is important that both your advisor and you are willing to enter into the mentor-mentee relationship. The majority of Carolina faculty serve as mentors for undergraduate research projects each year. Many undergraduates travel nationally and internationally to conduct their research. One exciting feature of the Summer Undergraduate Research Fellowship (SURF) program is the large proportion (typically 40%) of students who conduct their research abroad. To read more about those projects, please visit the Summer Research Projects Database. SURF does require a UNC faculty member to serve as the faculty advisor. There are no prescribed timelines for involvement in undergraduate research. On occasion, some students begin the summer before they officially enroll. Others begin in their final semester. It’s never too early or too late to get started.